the Cedars of Lebanon has been historically glorified as the place where this majestic, giant and very slow growing trees can be found. 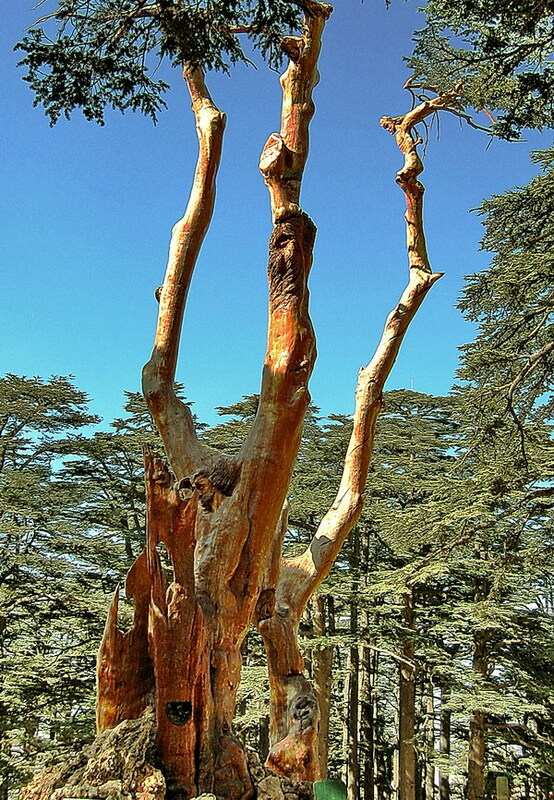 Nestled within the Cedar Forest in Lebanon is the one tree pictured above, where artist Roudy Rahmeh has carved at least THREE images of the crucified CHRIST onto the hardwood. Try to spot it first and then see it my slideshow.